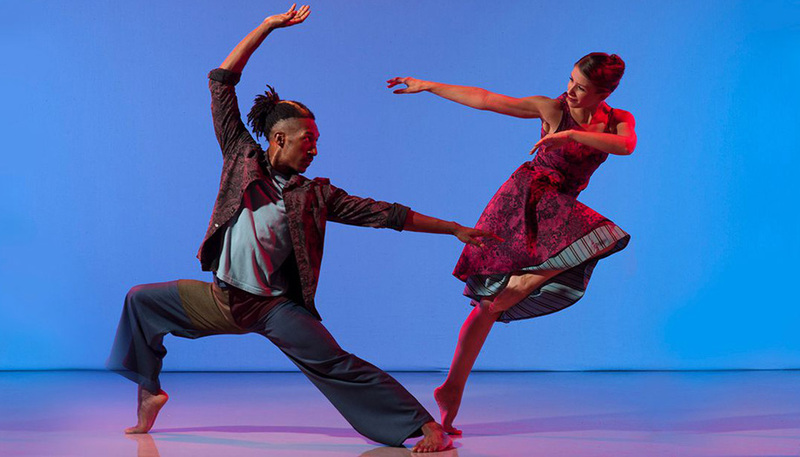 Richard Alston Dance Company is an avidly followed UK dance company with some of the world’s most beautiful contemporary dancers. It returns with a programme of three works including a brand new Alston piece to Carnaval by Schumann, played live by the fantastic pianist Jason Ridgway. In Tangent, Martin Lawrance explores the vivid accents and attack of Tango. Gypsy Mixture, a great Alston favourite, has been newly revived for the first time in a decade. With exhilarating dancing to the infectious music of Romanian and Macedonian Gypsy bands. Roseland cookery school Philleigh Way has three Autumn supper clubs planned this month. For the second, on Fri 20 Oct, Fiona Were will be in the kitchen serving up a taster menu of South East Asian delights. Fiona will talk through each stage of her menu as well as demonstrating elements of each dish in front of diners. Expect fantastically aromatic and exciting flavours! Shine for ShelterBox is a new fundraising initiative from the disaster relief charity and kicking things off in fine Cornish style is chef Ben Quinn and the Woodfired Canteen gang. At the first Shine for ShelterBox supper, you can expect a cracking seasonal menu, served to communal long tables. It is a bring your own event and if you’re feeling particularly inspired, you can go home and plan your own. The award-winning People and Gardens Community will be taking over Knightor Winery to create a unique feast of home-grown food this month. 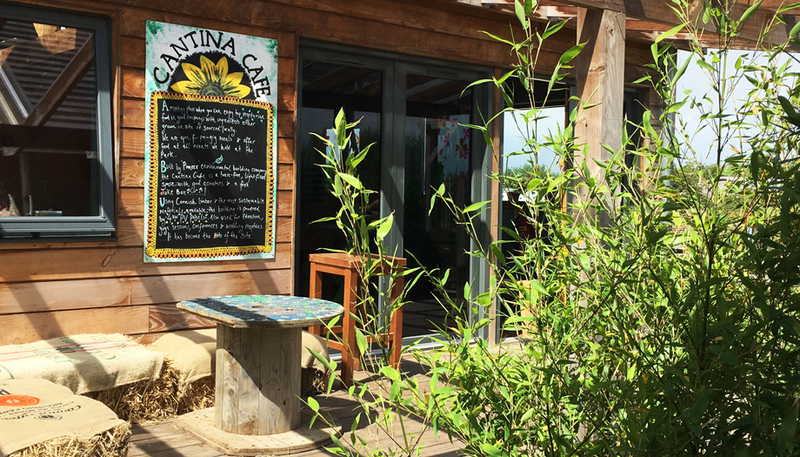 The menu will be based on produce grown just down the road at their Watering Lane Nursery in Pentewan, cooked and served by people taking part in the scheme. People and Gardens was established in 1997 with the aim of helping people with learning disabilities or emotional impairments to develop work and social skills. They now grow plants and bulbs for the Eden Project for use in plantings and displays, and also run a successful veg box scheme in the St Austell area. Monochrome, an exhibition of prints and paintings by four local artists, Gillian Cooper, Catherine Harvy Jefferson Trudy Montgomery, and Paul Wadsworth, opens at The Old Coastguard. All pictures are for sale with prices ranging between £150-£2000. All four artists gain inspiration from the textures and forms of granite, windswept hawthorns, the wild seas and the stormy skies of the Cornish landscape. The exhibition will explore the use of black & white and occasionally one additional colour. 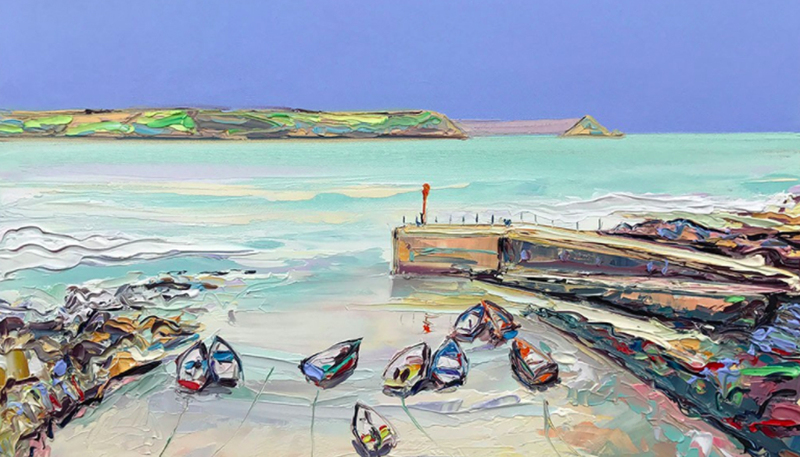 Cornwall based painter Joe Armstrong has a half-term exhibition coming up at Muddy award winning gallery, Harbour Gallery Portscatho. 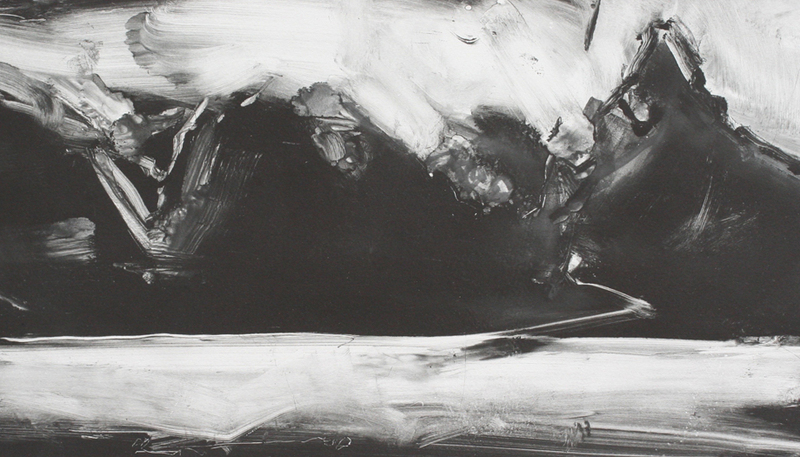 Expect a gorgeous selection of contemporary Cornish landscapes – lots of which you’ll recognise. Rich in colour and texture, Joe’s oil paintings are usually done with a palette knife, giving them a beautiful, spontaneous sense of movement. Bawren Tavaziva’s new work Izindava is dynamic, bold and explores human fragility within our changing world. Beautiful yet haunting and provocative, Izindava unearths raw emotions that are unsettling and unforgettable. Growing up amongst persecution and segregation, Bawren’s memories of freedom instilled a strength of spirit and resistance that has shaped this work. 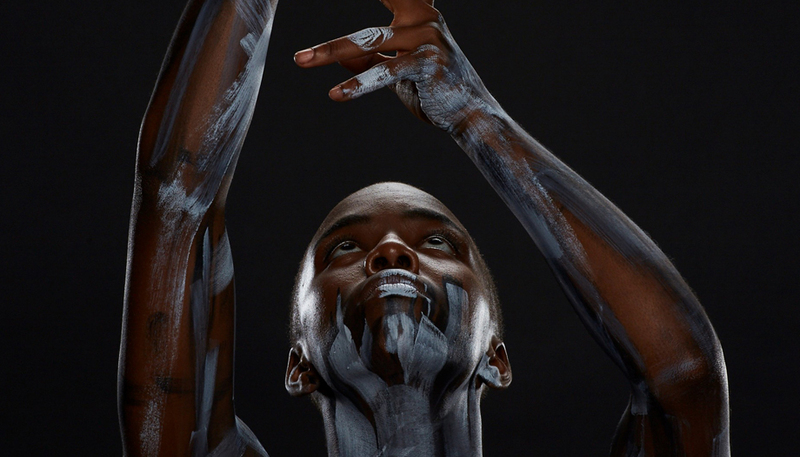 Bawren’s unbridled and intricate movement synthesises ballet, contemporary and African dance styles and is performed by a cast of stunning dancers. Heligan’s magical and mysterious woods will play host to a Spooky Folklore Trail this half term. This year’s trail will take inspiration from the Russian folklore tale of Baba Yaga. 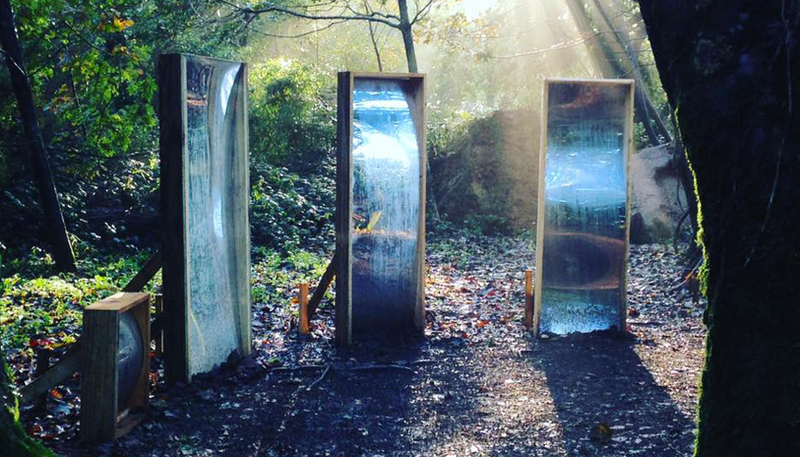 Enter the dark woods and stumble upon weird and wonderful ‘going’s on’. Will you find the old creaky house of Baba Yaga? Can you and your family work your way through a Giant spider’s web? Weave your way through the woods and see if you’re in for a fright or a delight. 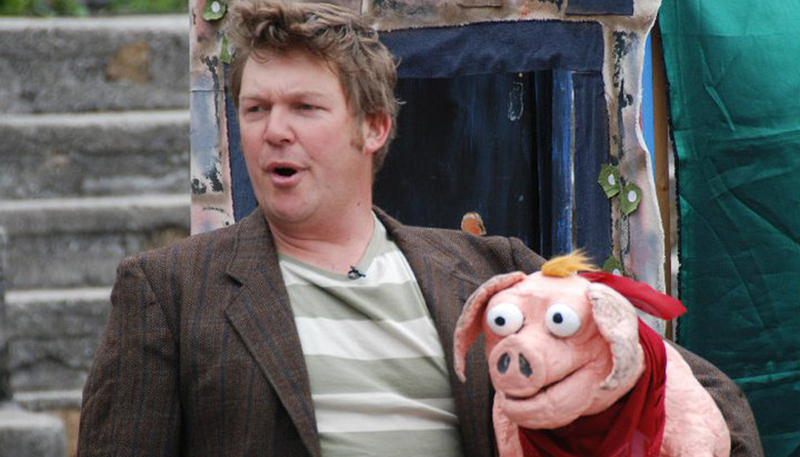 Expect shadow puppet shows, storytelling and Halloween crafts. Particularly good if you have National Trust membership – you could make your way around the very many Halloween themed events at these beautiful Cornish spots. Go pumpkin carving at Trelissick, discover torchlit terrors at Tintagel’s Old Post Office, brave Freak Week and Cothele Mill and much more. Brilliant as ever, Eden Project has come up with something really imaginative for Halloween this half term (my kids are going to LOVE this). 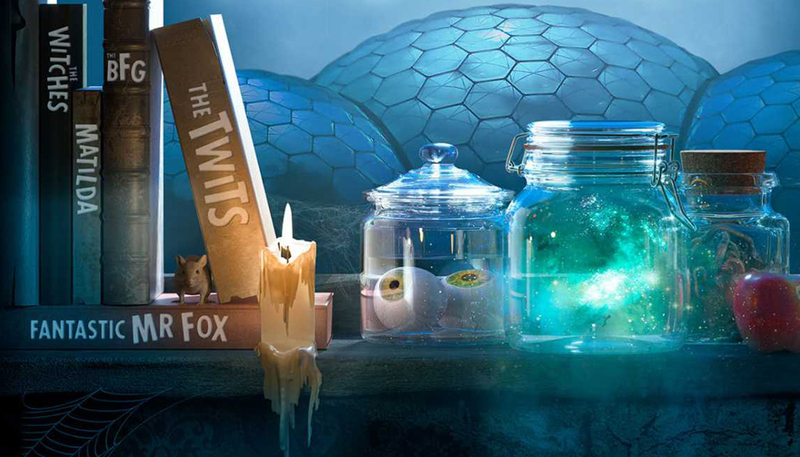 Pit yourself against Roald Dahl’s infamous villains, springing from the pages of his best-selling books. The whole family can brave challenges from some of the most notorious characters. Tiptoe past sleeping giants and frightful farmers, learn how to spot a real witch, dodge tricks and pranks in the home of the Twits, or take on the dreaded Trunchbull test (don’t get thrown in The Chokey!). The best veggie and vegan roast ever, accompanied by music from guest DJs. Roots Reggae Roasts are back for the winter at Mount Pleasant Eco Park and this unique Sunday lunch experience is not to be missed. There will be 3 delicious main course choices, including Vegetarian options (and one will always be Vegan). All roasts are served with Seasonal Vegetables, Roasties, Yorkshire Pud and your choice of Rich Veg or Paul’s Special Jerk Gravy. Adults £10/ Kids £6.